For an international retailer like ALDO, a comprehensive compliance strategy, straight forward access to their information and data and standardized KPIs are pivotal to the success of their business. With over 100 stores around the world, including Canada, the United States, and China, as well as various locations across Europe, the company is focused on seamlessly importing their products to their global client base, but felt they lacked the expertise to fully excel on the compliance side of their supply chain. “We really needed to partner up with a reliable and compliance driven professionals, this is where we reached out to BDP,” says Ann Marie Chenier, Senior Manager of Customs and Global Trade. Since partnering with BDP, ALDO notes that they were able to establish an efficient system to store and access their data and information - something they had struggled with before partnering with BDP - using BDP Smart Retail®. BDP, with an established understanding of compliance and a strong grasp of what services are needed, were able to improve ALDO’s standard KPIs and create efficient and comprehensive compliance strategy across the geographical regions in which they operate. With BDP’s global setup, there is a guarantee of experts with local knowledge in the relevant countries. 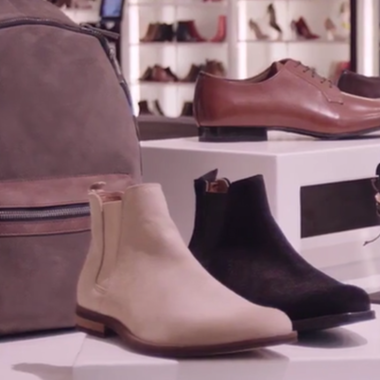 BDP’s ability to create personalized logistic solutions provided an upgrade to ALDO’s business practices.